In 1992, Euro Disneyland (now known as Disneyland Paris) opened in Chessy, France. Vekoma provided 3 attractions for Walt Disney Imagineering at that time: a custom MK-900m mine train (Big Thunder Mountain) which we already detailed in part 3 (https://parkvault.net/2014/12/20/a-looping-and-junior-revolution-part-3-of-our-look-at-vekoma/), an Omnimover dark ride system (Phantom Manor) and a Suspended dark ride system (Peter Pan’s Flight). The Omnimover was invented by Walt Disney Imagineering back in 1968 and was originally manufactured by Arrow Development. Then, for the Disneyland Paris Phantom Manor, Vekoma was called in to manufacture the 785 feet long track. The Omnimover consist of an endless chain of cars that run on tubular steel track. In addition to the two main running rails, two control rails were also present. Those two rails were connected to wheels and depending on the rails spacing, the car would rotate to a specific position or tilt forward or backward. This allowed the dark ride designer perfect control on what the riders would see and experience. Due to the very tight layouts and control rails, they are among the most difficult attraction to manufacture, but Vekoma did a great job with Phantom Manor. Peter Pan’s Flight ride system was similar in that Vekoma took an old WDI design from 1955 and modernized it. While Peter Pan’s Flight is a fine family dark ride at the three parks it appears in, its low capacity give it longer lines than what it should get in term of ride experience. So, while the other versions feature a continuous load and small single row ships, Vekoma went to a station format where boats stop for unload, then move forward to the load position. The boats now featured two rows as well, thus doubling capacity in many cases. In 1994, as part of an expansion where smaller attractions were added to increase capacity at the park, Disneyland Paris opened its own version of the “Storybookland Canals” and Casey Jr. Those were first seen at Disneyland starting in 1955-1956 and were updated for Disneyland Paris. In the case of Casey Jr, the circus train now feature more hills and could be seen as a powered roller coaster. Since a powered third rail already provides power to onboard electric drive motors, they also added a sound system to the cars. 1996 saw Vekoma design two new versions of classic rides. The first one is the “Mad House”, which is a modern version of the classic Haunted Swing ride. In the Haunted Swing, guests boarded a swinging gondola that is placed inside a rotating drum. By carefully moving the drum and the gondola movement, it creates various optical illusions. Two good examples of those are the “Wonder House” at Dutch Wonderland (Lancaster, PA) and Impossible at Pleasure Beach Blackpool (Blackpool, UK). So, Efteling wanted to have a modern version of this classic attraction and selected the Vekoma Mad House for this purpose. It was built inside a beautiful house and based upon the local legend of the Buck Riders, a ruthless gang of robbers that was said to be active in the area that Efteling was built in. Two preshow areas are used to tell the story and in the second one, an audio animatronic of Hugo van den Loonsche Duynen, the leader of the bandits and the owner of the house we are in. We thus discover that after robbing an Abbey, his house and himself was cursed. After that, we enter the main ride room. In order to increase capacity, Vekoma designed a larger gondola with 80 seats. Two rows are on each side and face toward the center. Each row has 5 seating areas with room for 4 in each and each area has a lap bar that restraint riders. Once the lap bars are verified, the sliding doors at each end close and the ride starts. Beautiful music is present in every installation and the Villa Volta is no exception. The first illusion is that our gondola, which can swing up to 30 degrees is synchronized with the large drum. Thus, riders have an odd feeling as it looks like the room is not moving… yet we feel movement. Then, the ride continues with more movements that make it appears as if we are going upside and other incredible visuals. This is one of the set of drive tires that spin the drum around. 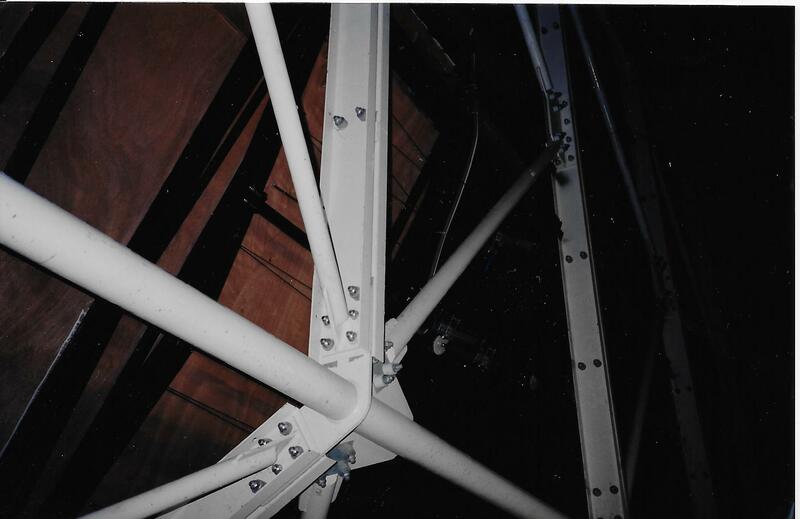 The steel frame of the drum. Le Palais du Genie, Walibi Belgium (Wavre, Belgium). Installed by Six Flags when the park was transformed into Six Flags Belgium in 2001, this ride has a 1001 nights theme. After an effects filled preshow where it is explained a mischievous monkey has released a bad genie from his lamp, we are taken into the main room. In the main room, the master’s house genie and the bad genie fight with each others, causing the room to flip around. In the finale, when the drum is upside down, we see their fight on a carpet! This clever illusion is created by having pneumatic plungers hit a carpet and along with sound effects, come across very well. The last effect was brilliant: smoke is sucked into a genie lamp, thus showing the bad genie defeat and return to his lamp. A red gem than appears in the center fountain. It is a beautiful attraction and was the best attraction of that makeover. The music used here is “Youth” from the Journey of Man Cirque du Soleil movie. It was composed by Benoit Jutras, a French Canadian composer who was the Cirque du Soleil music director and later a composer for many of their iconic shows. He later did “Let it Shine”, the theme song for the Six Flags Glow in the Park Parade and the music for Le Reve at the Wynn resort in Las Vegas, NV. HEX: Legend of the Towers at Alton Towers (Alton, UK). Located in the historic Towers themselves and opening in 2000, two preshow rooms explain the local legend of the “Chained Oak Tree”. In this case, the 15th Earl of Shrewsbury was cursed by a local beggar lady to suffer a death in his family every time a branch fell from an old oak tree. The first preshow explain this through a movie and then, we move to the second room. In that room, the beggar lady ghost appears and causes the power generator to fail and then we hear a branch falling outside. We then are ushered out into the vault where the Earl had been desperately experimenting on one of the branch. At this point, we have left the Towers and into the ride building that houses the Mad House. The ride itself features many projections and large props in the center of the room. The Haunting at Drayton Manor (Drayton Basset, UK). Opening in 1996 after Villa Volta, this was the first 40 seats Vekoma Mad House. The two preshow here take place in two different areas: the first one, where a movie explains that paranormal investigators are missing after entering this creepy house. We then enter the house itself and the second preshow has a projection of the ghost that owns the house. The ride then concludes with the Mad House itself, which is much smaller than the usual 80 seats version. The other large project Vekoma worked on in 1996 was the ride hardware for Jurassic Park: The Ride at Universal Studios Hollywood. Even before the movie had finished filming, Steven Spielberg and his team had recruited Gary Goddard and other industry luminaries to develop an attraction based on the film and novel. Vekoma was brought in to design a fleet of Shoot the Chutes styleboats and the two ride lifts. The main climax of the attraction is an 84 feet drop in the dark at a 51 degrees angle. At the time of the ride opening, it was the tallest, fastest and steepest water ride in the world. Entrance portal of Jurassic Park: The Ride at Universal Studios Hollywood. One huge challenge that faced Vekoma and Interlink, their partner on this ride was the fact a restaurant was built right in front of the drop at the Hollywood park. Thus, the boats would have to be sharply braked in the small run out area and this implied having a higher water level at the bottom of the drop. This meant drenching riders, which is not an issue in the summer, but gave challenges in the colder periods. 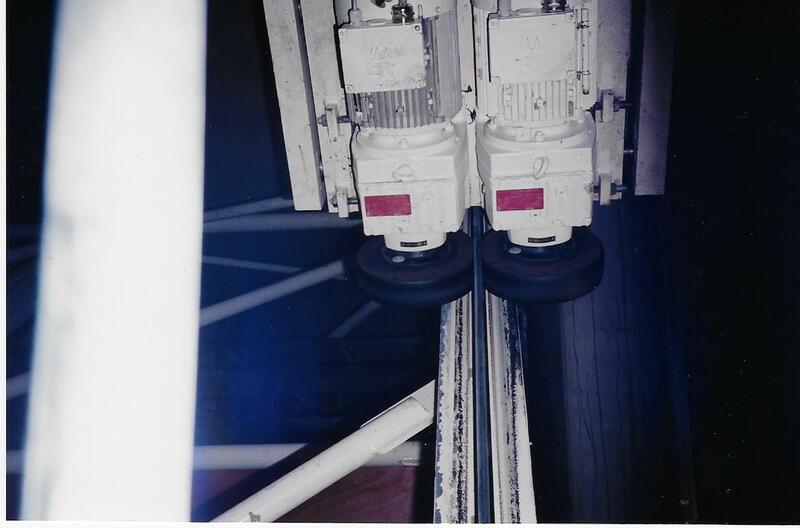 This issue was solved later when magnetic brakes from another supplier were installed at the bottom of the drop and metal fins retrofitted to the boats. For the Orlando and Japan installations, they were new parks and thus, a longer pull out was designed in and thus, riders are not drenched by the huge wave. 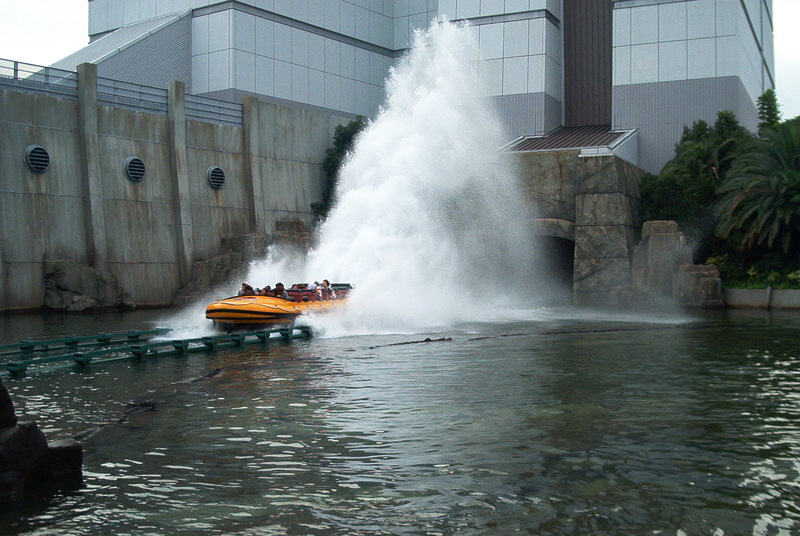 This is the post magnetic brakes splash at Universal Hollywood. The longer pull out area on the Islands of Adventure (Orlando, FL) Jurassic Park River Adventure. 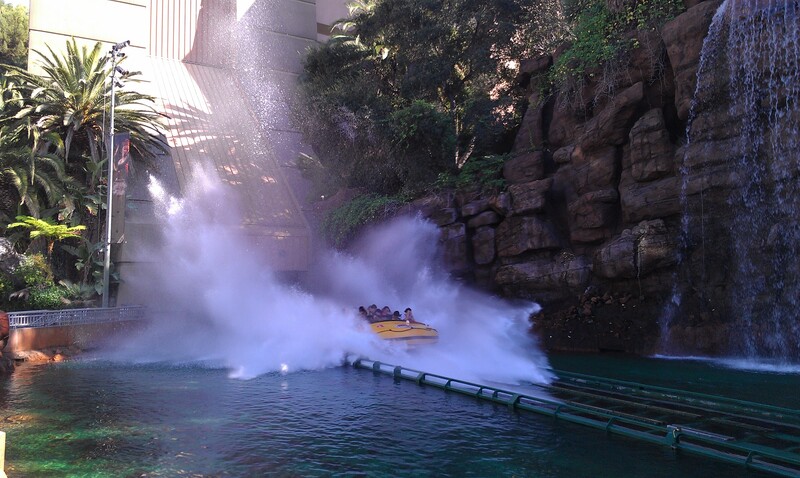 The larger splash on the Florida River Adventure. 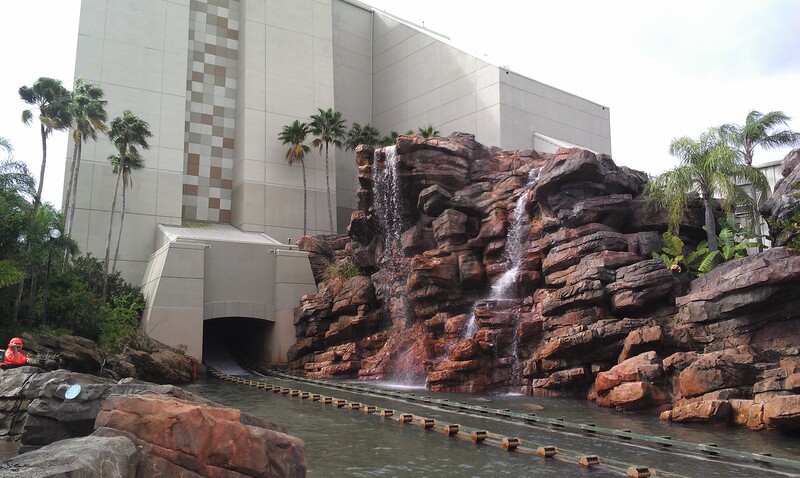 The Universal Studios Japan (Osaka, Japan) Jurassic Park River Adventure is a mirror image of the Florida one. One major upgrade was to the T-Rex figure at the top of the drop. It has a lot more movements and is a lot scarier. Each boat has 5 rows of 4 and riders are restrained by a large ratcheting lap bar. The design evolved over the years and the original one had a small triangle shaped padded area near the lap and chest of riders. Universal Studios Hollywood and Islands of Adventure use this longer and comfortable version at this time. The current boat configuration on Islands of Adventure Jurassic Park River Adventure. The boats are the widest Shoot the Chutes ever built with 5 seats in each row versus 4 or 3 usually. You can see the distinctive shape of the lap bars. Notice as well the silver manual restraint release pedal. At Universal Studios Japan, the lap bars were recently modified to add extra padding. Welcome to Jurassic Park: The Ride at Universal Studios Japan. The ride is a mirror installation of the Islands of Adventure attraction. A close up of the boat with the modified lap bars. They added thick soft foam padding on top of the lap bar in order to provide more comfort for guests. At least one boat is equipped with this special accessible seat for guests unable to step into the boat. As you can see, it take the place of two regular seats. This entry was posted in Industry Profile and tagged Alton Towers, Efteling, Islands of Adventure, jurassic park, mad house, Palais du Genie, Universal Studios Hollywood, Universal Studios Japan, Vekoma, villa volta, Walibi Belgium. Bookmark the permalink. 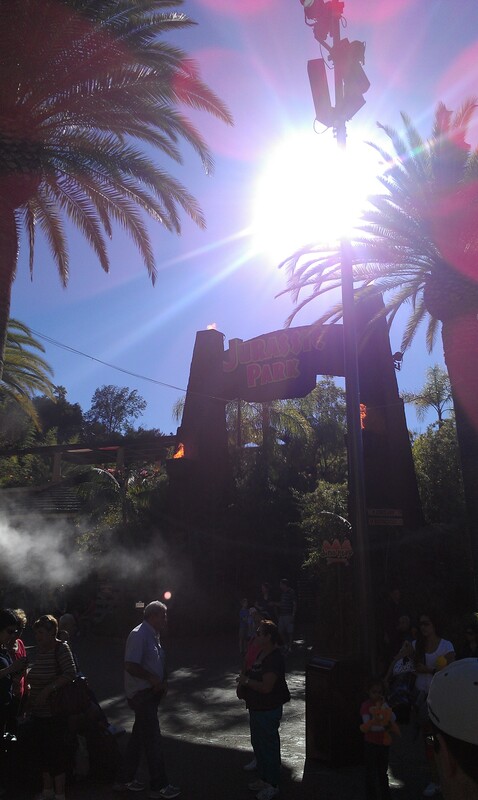 ← Enclosed Coasters: part two of an adventure through the Smoky Mountains and Southern California.